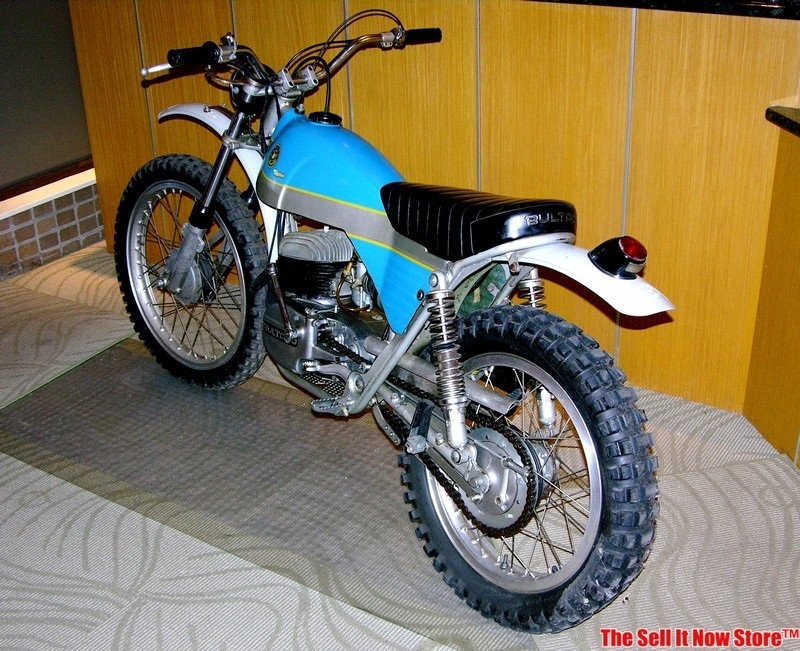 The story of the Bultaco brand is about as cool and inspiring as the motorcycles they produced. It started in the mid 1940s, when a road racer named Francisco Bulto co-founded the Montesa Company and began work on a light weight 95cc bike. The small two-stroke had no rear suspension and was far from ground breaking, but its moderate success was enough to spur on the design of a successor that featured a 125cc engine and a semi-enduro suspension for the 1951 International Six Days Enduro race. Unfortunately, by 1957 the company was facing a difficult financial position and made the decision to withdraw from racing. Outraged, Bulto resigned with several other employees, and founded a new company, called Bultaco, in less than 6 months. Named after the Spanish word for whiplash, the Tralla 101 took seven of the first ten places in the Spanish Grand Prix just two months after being released, kicking off the Bultaco legacy and laying the foundation for bikes like this awesomel 1973 Alpina. 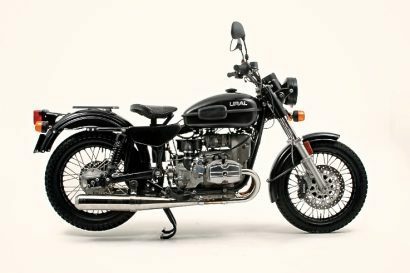 Found in the basement of an estate sale, this gorgeous motorcycle is now being sold by an independent Ebay auctioneer. It appears to be in fantastic condition for its age and only shows a few small dings and imperfections on the body. 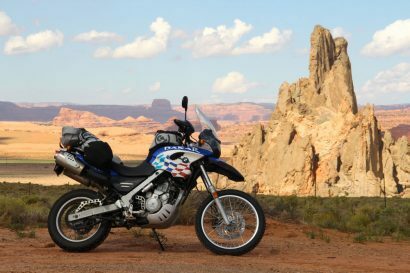 This isn’t too surprising though, considering the bike has covered just 1,111 miles since the original purchase. 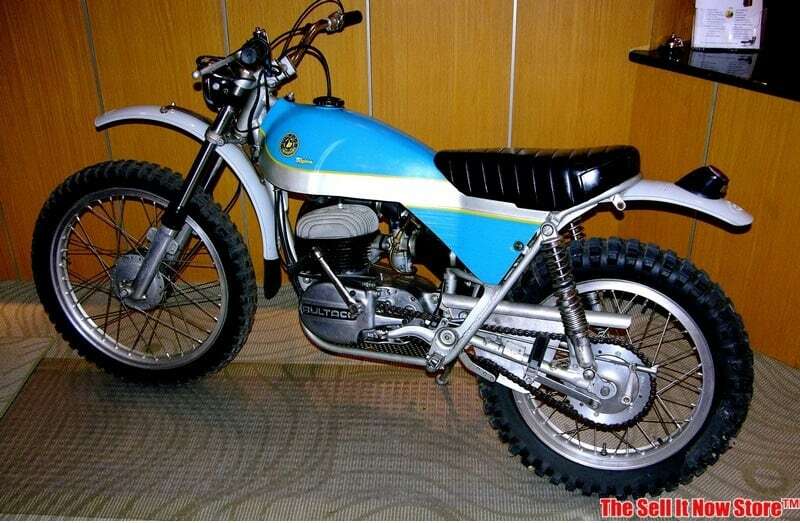 The seller states that they have not attempted to fuel or start this Bultaco but that it does kick over and should run with some minor work and cleaning. They also mention that it has a clean title and seems to retain the original paint and parts from 1973. While this probably isn’t your traditional adventure bike, it is a wonderfully preserved example of a 70s enduro and could make a great addition to your garage. 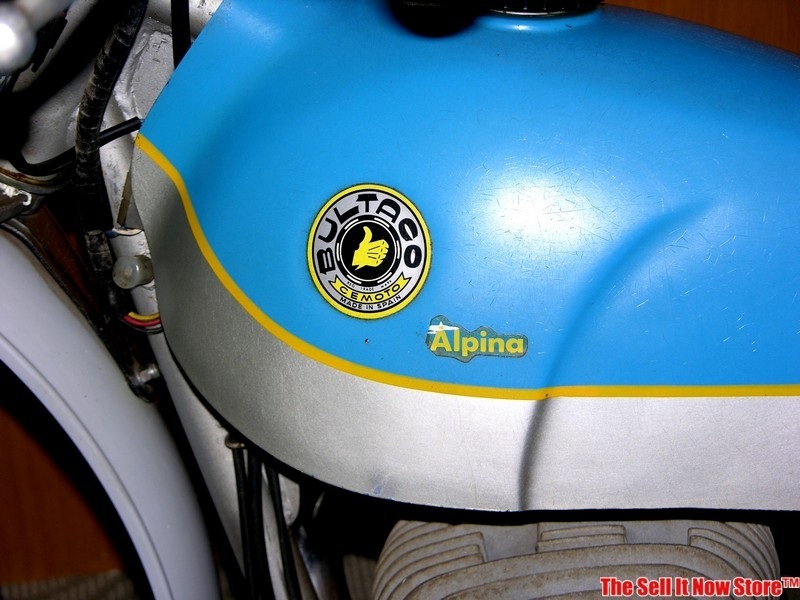 You are looking at a rare 1973 Bultaco Alpina 175 bike that was recently found in a dry basement of an estate. We are selling this motorcycle on their behalf. This bike looks like it was made a few years ago it is so clean. While it has small dings and imperfections due to age and use as shown in the photos, it appears to have original paint and is a great original example. We are surprised how clean the wheels and frame are, and it has a clear title. It is truly an exceptional bike and in excellent shape for the age. 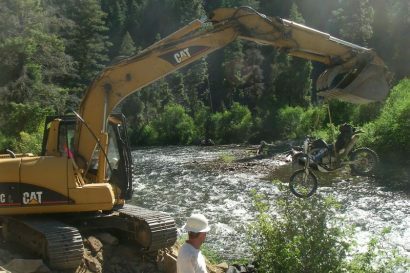 Note that we did not add gasoline or attempt to start the bike. We believe the fuel petcock will probably leak and the carb will need to be cleaned as they all do. It does kick over and probably will not take much to get running. Please consider this when bidding.